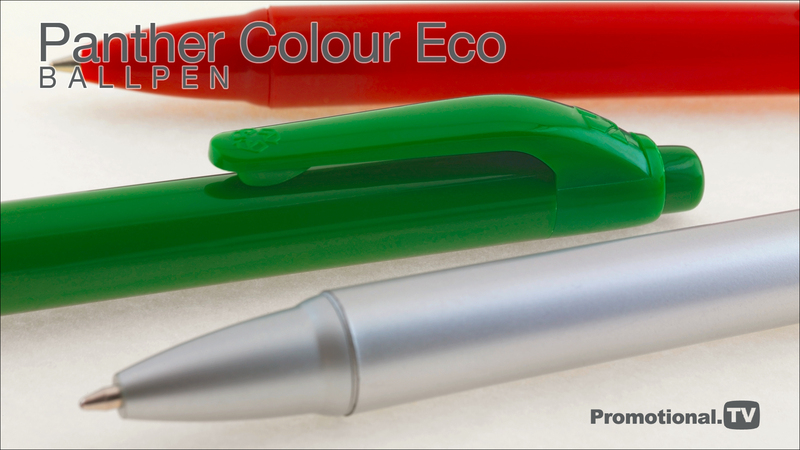 If you looking for a promotional pen that isn’t going to damage the environment or your budget, then the Panther Eco range is for you. It is the perfect choice for those promotions where you want to demonstrate your organisation’s stance on environmental issues. Made from recycled plastic The Panther Eco range is fully compliant with current safety regulations; comes with a black refill containing documental quality ink and is available on a 24 hour express service at no extra cost to you. The Panther Colour Eco operates on a pushbutton mechanism and has the same large print areas on the barrel and clip as the Panther Extra and Panther Frost versions so that even the largest message or logo can be catered for. It can be provided with a range of optional presentation packaging, including high visibility pen pots for you to use at your next corporate event.